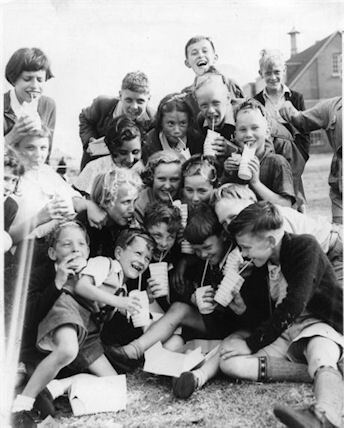 In 1935, Morden Labour Party organised the first day excursion to Littlehampton for the children of St. Helier - a tradition that went on for many years. Many people remember it as the highlight of the year in their childhood. Does anyone know when the last one was and whether it was always run by the same group? The 1936 newspaper reports show that all the work involved was voluntary and funds were raised by donation. 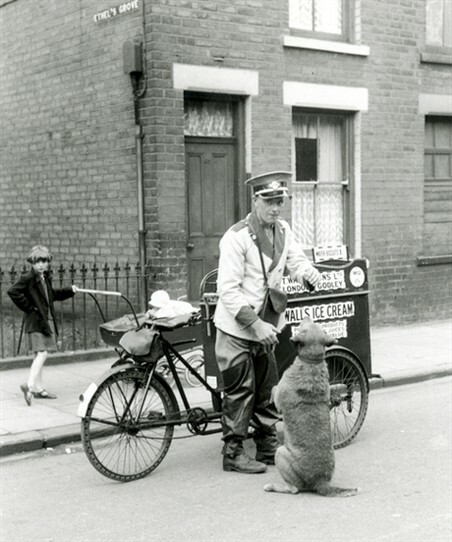 In later years, there are memories of a weekly or monthly collection being taken from parents to pay for their children. The age group of children invited was between 8 and 14 years. Today, the logistics of coping with so many over-excited children away from home would be almost unimaginable, but at the time the adults who accompanied the children seem to have been able to steer them through the day with few problems. On the 1936 outing the newspaper reported there were 100 helpers to accompany the 1,400 children and that they compromised "between keeping the children to a schedule and allowing them the freedom of the sea". There were 25 cases of cuts, bruises and abrasions handled by the first aid workers and at a stop on the way home, one child disturbed a wasps' nest which resulted in ten children being stung. The adults didn't escape unscathed - the Honorary Secretary, Mr. Trustam, suffered a coach wheel running over his foot on the way home too. I can remember going on the big dipper and bashing my head. 'Cause I was absolutely terrified and that bar that comes across - I must have ducked down because I didn't like it and I had a great lump on my head. We were talking about it the other day and, you think, all those parents letting their children just go off for the day - the thought of sort of letting the child go off on a coach and I mean there must have been people there dishing stuff out but, I mean, it would be very few. Excitement increased perceptibly as the fleet neared Morden. At Central Road Mr. C. Conroy, the general storekeeper, had specially decorated his premises with illuminations and signalised the kiddies' return by sending rocket after rocket into the air. This page was added by Cheryl Bailey on 29/06/2010. I was born in Newstead Walk,Rosehill, in 1936.I was reminiscing with a friend about the Littlehampton outings just the other day.I can remember wearing a label with my name and coach no and assembling on a large green off St. Helier Ave.There were about 16 coaches when I went and we had to drive past Ralphs (the grocers at Rosehill) and cheer because they had provided the lunch boxes we all carried.When we arrived at Littlehampton we were given tickets for free rides and the trip home was a tired but happy occasion ending up with a happy sing song. I remember going on the day trips to Littlehampton when i was about 10yrs old. we were given a picnic lunch. and had a wonderful day going on all the rides. I remember the Littlehampton Outings, The excitement of going to pick up the coach and getting our little lunch boxes and the free rides. A great day out! I seem to remember about 60 red coaches(were they Viking co?) going round the Devils Punch Bowl, quite a sight. They started from the green opposite where we lived in Middleton Road. I remember the walk to Morten Green and being very excited by the number of coaches of all colours. 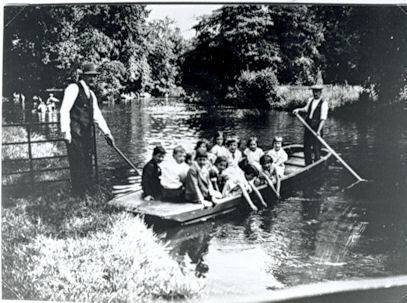 I went twice if I remember correctly and at that time the outing was organised by the Wallington and Carshalton children's outing association. The main man used to go round the streets raising money on a motor cycle combination with posters on each side. 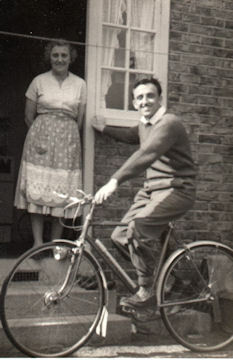 I have an old photo of a very dear friend John Tibby who went on the Littlehampton outing in 1953, is there anyone out there who went that year and who remembers a reporter by the name of Peter Vane who wrote an article about John Tibby and the outing. I would be very grateful for any information. Yes, I remember the coach outings to Littlehampton. The coaches used to line up in from of my Nan's house in Leominster Road by Moreton Green and a grand day out was had by all. Littlehampton to us then was almost 'abroad' because we didn't have enough money in those days to go on 'regular' family holidays, not like today eh! I remember the beach being all sand unlike Brighton of course which was stony. Anyway I stopped going to Brighton because my Mother wouldn't let me sit in the middle of the road to ball my eyes out because I couldn't have another ice cream!! I must have been about 11 when I went on the outing. It was wonderful - being given a packed lunch, a couple of bob for rides and some free tickets. I remember clearly the trip home because when we had a comfort stop in some woods, one of the boys disturbed a wasps nest. The very angry wasps followed him back and as he rushed into the coach many of us got badly stung and had to be taken to hospital. I seem to remember that one little boy died of the stings....a sad ending to a wonderful day. Don't remember going again tho.. I went on the outings and so did my wife Mary Lee nee Webb I suppose it was not much of a coincidence as she lived in Morden and I in Carshalton, first time we had seen the sea, what great memories we both have . I have just found this site its like being in a sweet shop, so many memories! I to went on these outings and what great times we all had! So many kids having fun I don't remember any crying because they were away from mum @dad ! loads of goodies. I lived in LLanthony rd and watched the coaches arrive and park behind each tight because there seemed so many all up Leominster rd round into Llilleshall rd I had my label on with number in hand saying(come on mum).Am I right in thinking the man with motorbike/sidecar went in front all the way there!I think it might be (my little grey cells).what will remain with me is looking back when we made a turn at the long line of coaches with balloons streamers etc, train like, wonderful how lucky we were. Welling up now , so luv to all my estate friends past @present . The Littlehampton museum has no information relating to this wonderful historical coach outing...for many the only time going to the seaside.....are there any photos of the event? There are three more photos in the Picture Gallery under Your Pictures- Days Out. Please remember that you can always email your old photos to the website and they can be added to the Gallery. I went on the Littlehampton trips, so many buses. I went with my brother, he must have been well pleased. I think we used to go to a hall and have fish and chips and a drink of squash. We all lined up and marched down the road. It was a great day out but have I got it right about the fish and chips? Moved away long time ago so do they still take the children? As a girl with 9 sisters we used to line up with our lunchboxes and go on the coach. It is lovely memories to have and when we came home there were a succession of coaches and we all would sing songs. If only we had picture of the convoy of coaches all lit up and parents waiting on the side of the road to welcome their children home. Magnificent. The last song we would sing would be TEN GREEN BOTTLES.